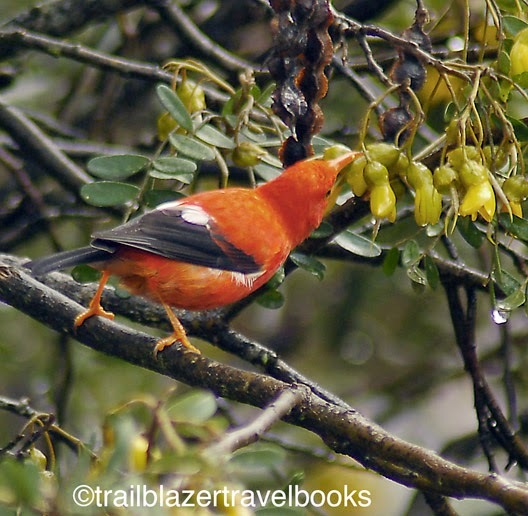 On this day, cold rain and clouds buffeted the 10,000-foot summit of the Haleakala National Park, but it only drizzled down lower in Hosmer Grove—home to the darlings of the forest, the I'iwi. 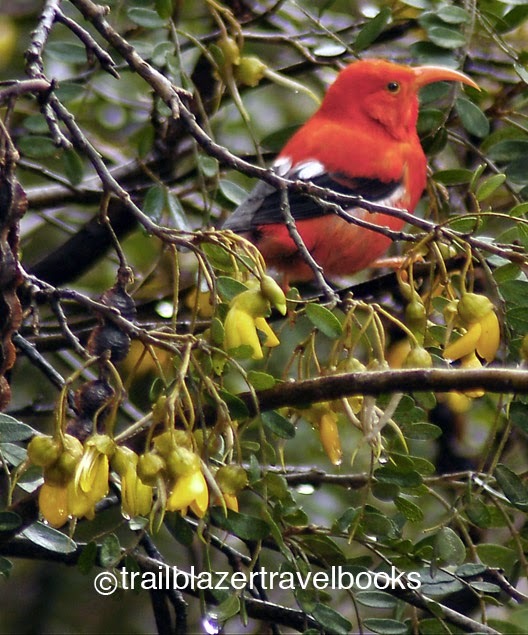 The hook-nosed flit-abouts, also known as the Scarlet Hawaiian Honeycreeper, live on all the Islands (except Lanai, where pineapple ruled), and are healthy in number (more than a quarter-million), but other species of this hummingbird family are endangered. 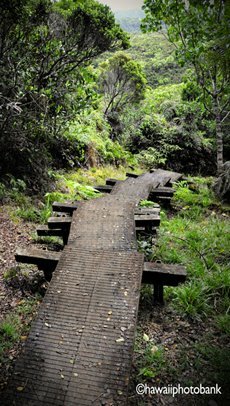 Ranger John Hosmer planted the grove a century ago, and its nature walk is on the A-list for birders, especially since the Waikomo Ridge Trail and Supply Trail are nearby, offering more birdlands of native and exotic forest. 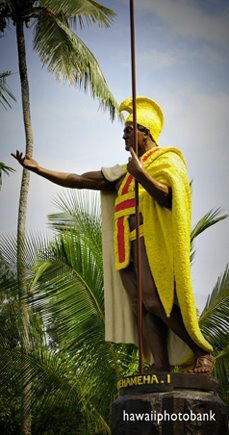 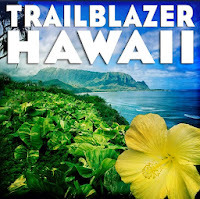 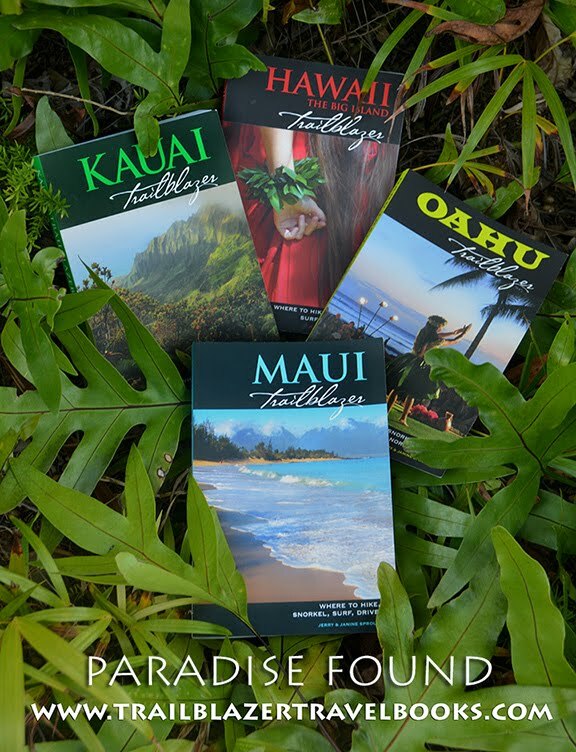 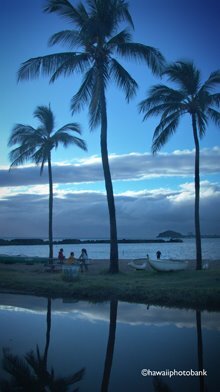 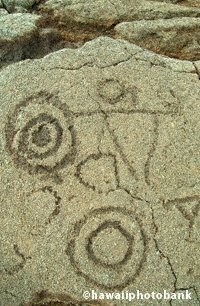 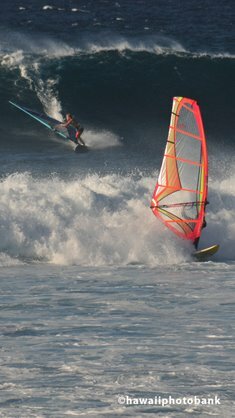 For other trails in the area (you have plenty of choices) see Maui Trailblazer pages 153 to 160.